After spending more than a year renovating the former St. Mark's School, we have officially relocated our Therapeutic Day School, Housatonic Academy, to a state-of-the-art educational facility! On December 15, 2017, the building was finally buzzing with academic activity as students reported to school in the newly renovated facility for the first time. Upon the program's relocation, it was renamed Hillcrest Academy, replacing it's former title, Housatonic Academy. 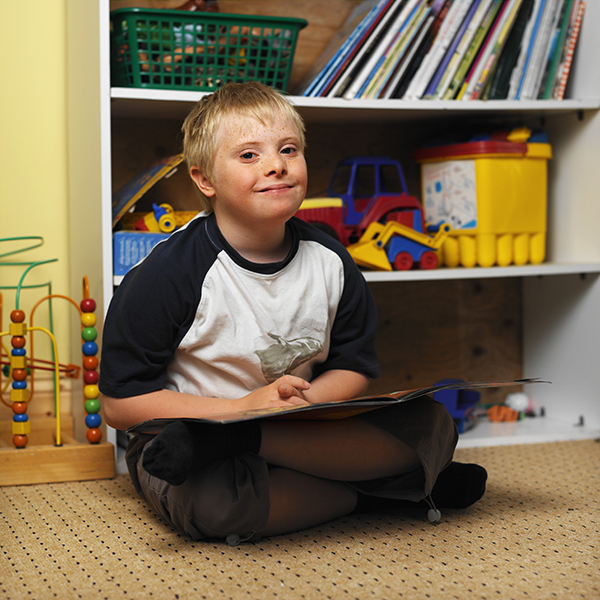 The Hillcrest Academy is Hillcrest Educational Center’s therapeutic day school. We provide comprehensive education and clinical behavior support services to children and adolescents with autism and/or social-emotional challenges from school districts in the Berkshires and surrounding communities. 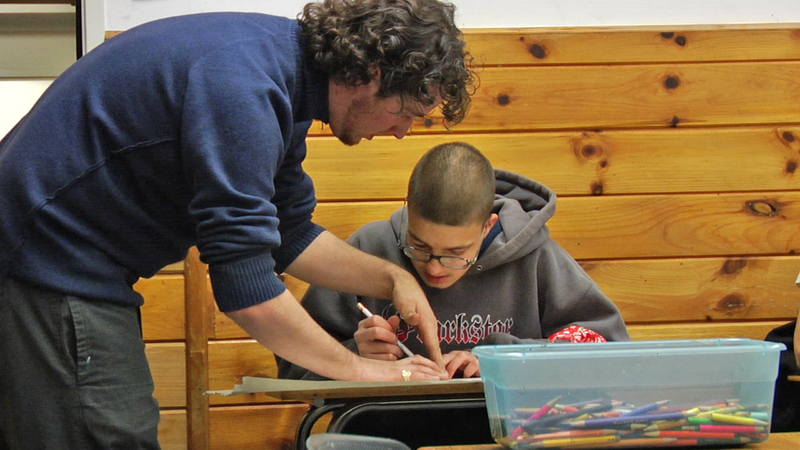 Formerly known as the Housatonic Academy, we opened this day school program in 2004 in collaboration with Berkshire County's special education administrators, who saw a growing need for a therapeutic learning environment to serve students whose needs could not be met in a conventional school setting. Over the years, student enrollment at the Housatonic Academy grew by more than double due to an increased demand for services and it became evident that we had outgrown our space on West Housatonic Street in Pittsfield. Unfortunately that facility lacked adequate classroom space for the number of students being served and has no auditorium, gymnasium, or cafeteria. A larger space was needed to enable the Academy to accommodate a growing demand for services. To meet this need, we purchased the former St. Mark's School in Pittsfield and spent over a year renovating the space to better serve our community. This has enabled us to create an environment that provides children and families in our community with the support they need to thrive. Moving to a larger space allows us to serve up to twice as many students! • Expand services to additional students and increase staff size. • Increase classroom and activities space to optimize the learning environment and reduce potential stressors. 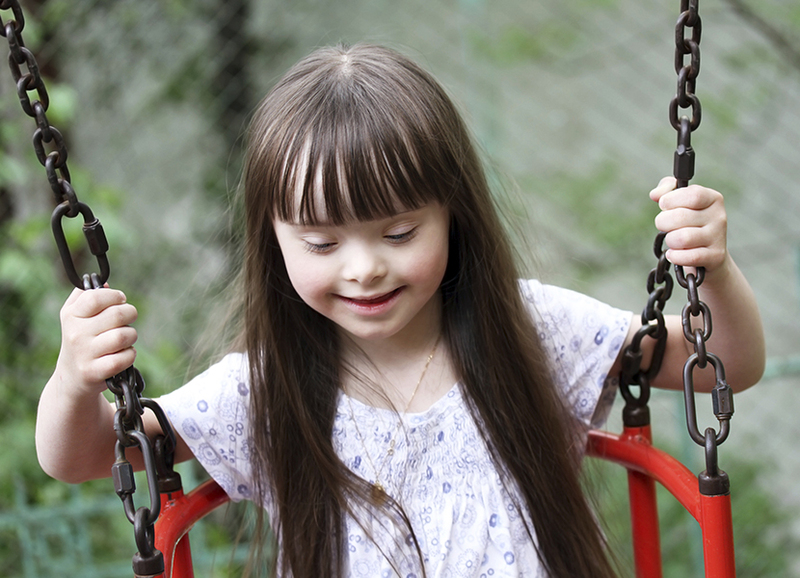 • Help keep more special needs students close to home. • Utilize the former Parish building as a center for social and recreational events for both students and community members. • Streamline educational programming for Autism Spectrum Disorder (ASD) students in Hillcrest's care. •	Hillcrest's ASD Residential students will be transported from their campus in Lenox for the educational portion of their day, allowing all of Hillcrest's ASD students to be educated in the same program. This relocation was an investment both in student success and our community. 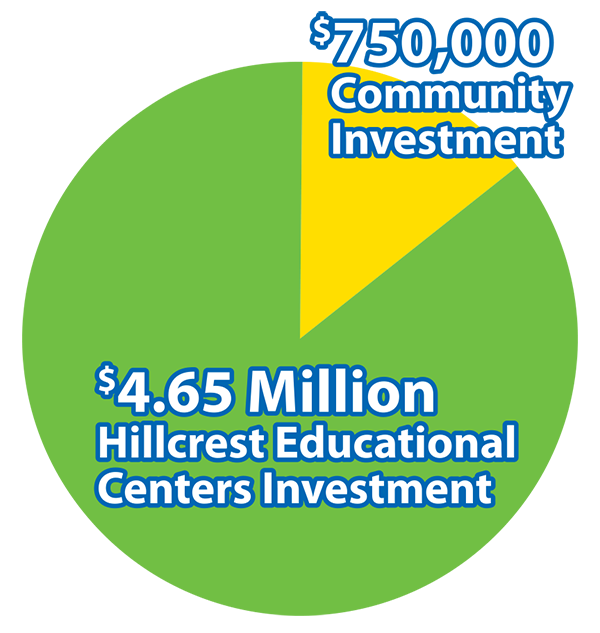 Hillcrest has invested $4.65 million, and we've asked the community to contribute $750,000. Although we're already in the building, there's still a lot of work that needs to happen over the next year to give these students the education they deserve. • Help more local students develop the knowledge and coping skills they need to succeed in our community. • Revitalize a remarkable building and continue its mission of educating youth and serving as a true community establishment. This relocation is an investment in both student success and our community. And we’re asking you to be a part of it. Won’t you help us reach our goals? To make this happen, we need your help. Your contribution will help create brighter futures for local students, revive a community center, and support families in the Berkshires.